This badge was issued to Scott Sullivan on 18 Oct 2017. 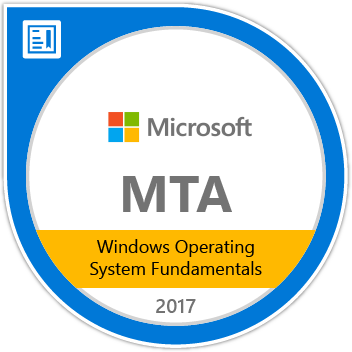 Earners of the MTA: Windows Operating System Fundamentals certification have demonstrated fundamental knowledge of Operating System Configurations, Installing and Upgrading Client Systems, Managing Applications, Managing Files and Folders, Managing Devices, and Operating System Maintenance. The MTA program provides an appropriate entry point to a future career in technology.